Shimla, Manali and Parwanoo are three important tourist places of Himachal Pradesh. The places are well connected to the Delhi Metro by road and rail. All these places are hilly and very suitable for enjoying holidays during summer .Toy trains are one of the attractions for tourists in the Himachal Pradesh. This tour package is organized by TRAVEL MATRIX and it is for wonderful and comfortable travel to these places. After arriving at Airport or Railway station the representative will take you to Shimla, which is about 370 kilometers. 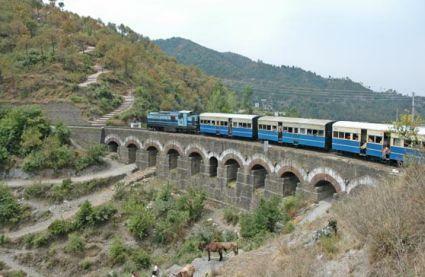 From Kalka Railway station you have to board on Himgiri Express Luxury Toy Train to Shimla. After arrival, check into the hotel at Shimla. During evening time you can visit Malls and local markets. Stay overnight in the hotel. 1. Shimalas highest point Jakhoo hill – from where you can view the town, Hill and Mountain Ranges and view of Sunrise& Sunset. 4. Himachal State Museum-to see state cultural, Artistic and Archaeological Heritage. Back to the hotel in the evening and stay overnight. After having breakfast, check out and move to Monali which is 260 Km from Shimla. On the way, visit Kulu valley –a lovely and beautiful valley of river Beas. It is an open wide area for tourist, trekker, mountaineers and the artists. With the natural beauty the valley is also famous for its hand made shawls and Kulu caps. Arrive Manali and check into the hotel. Manali literally means the 'Home of Manu'. According to Mythology Manu who is supposed to have survived when the world was drowned in flood came to Manali and recreated human life. This place is surrounded by peaks and its major asset is its proximity to the snowline. Evening, roam around the hill resort and stay overnight in the hotel. After having breakfast at the hotel , trip for a full day sightseeing tour of Manili. Come back to the hotel and stay overnight. After having breakfast at the hotel, trip for a full day excursion to Rothang Pass. 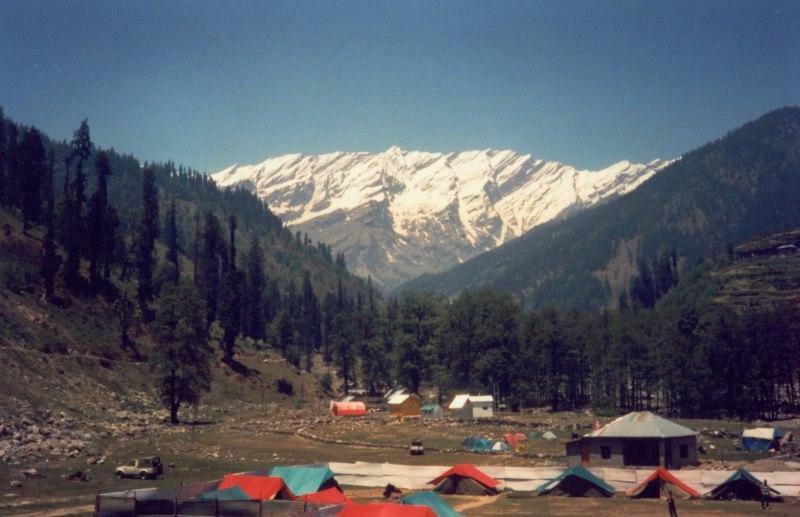 It is the highest point, 4112 meters, 51 kilometers from Manali town and on Manali Keylong Road. From this highest point one can enjoy the breathtaking view of the mountains rising far above the clouds. Enjoy full day with snow sports activities, snow biking, skiting. Return back to the hotel and stay overnight. After having breakfast at the hotel check out and move to Parwanoo. It is a small hill station near Chandigarh. 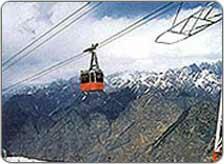 By cable car ride move to the hotel Timber Trails located on the mountain top. The rest of the day, enjoy the natural beauty around the hotel in Parwanoo and stay overnight. After having breakfast at the hotel check out and move back to Delhi. Arrive Delhi at afternoon. Planning to run away this summer into snowy places where climate is cool and pleasant, then escape to Leh, Ladakh, Manali this summer with escorted group tours from Kesari Tours for exclusive 11 days and 10 nights with family and friends and have a blast. This article provides you with all the details related to Leh Ladakh Manali Escorted group tour package for 10 days and 11 nights by Kesari Tours. Keralahouseboats.org is a tour operator who conducts various tour packages for houseboats. You can book the whole boat for a day or more and travel according to your convenience or you can book tour packages according to the destinations. Here you can get the details about houseboats and the tour opertor Keralahouseboat.org.